This volume comprises the proceedings of a workshop with the same title which took place in October 2015. It was organised within the frame of the ARC13/18-049 (concerted research action) 'A World in Crisis?'. It has both a large chronological scope - from the Late Palaeolithic to the 12th c. AD - and wide geographical coverage, with case studies from the Maya, Southern US, Aegean, Sri Lanka, Indus, Gaul, Southern Levant, Anatolia, Egypt, North-western Europe, Alaska and Mesopotamia. 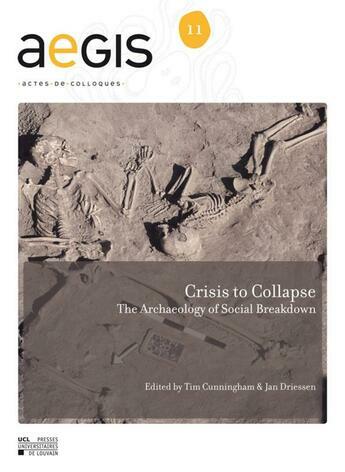 It discusses and critically analyses the variety of signatures and archaeological correlates of crisis conditions that led to social breakdown. As such it makes massive strides forward to a better theoretical understanding of crisis-induced collapse.